Volkstok’n’barrell, despite his rather odd name, is a New Zealand bred racehorse that was incredibly successful in 2016. 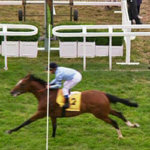 He was entered into a number of categories in the Industry Awards at the end of the 2016 season, losing out to other horses of the calibre of Xtravagant and Turn Me Loose. 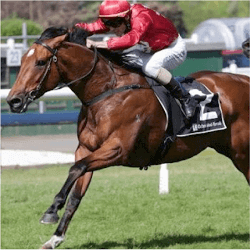 Volkstok’n’barrell won a number of group one races over his career, as well as performing in a number of others making him an elite racehorse. 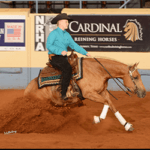 The bay gelding is trained by D & C Logan and Gibbs who are based in New Zealand and have trained many a winning horse over their long careers. Volkstok’n’barrell was started as a two year old, running three local races and winning two of them. A spell of only 70 days allowed a little growing up, but the trainers wasted no time in setting the gelding on the fast track to the Group One races. His three-year-old season had seven starts, the first three wins and the last lot Group One races in Australia. He ran against the likes of Mongolian Khan and Rockfast, beating the latter but never quite beating the former. Another spelling period that ended because he kept running around and bucking in his paddock began his four-year-old season. Racing became more serious now, with more Grade Ones both in New Zealand and across the Tasman Sea. Group One races as Caulfield and Flemington didn’t produce any places, so the gelding had another rest to prevent him from getting race sour. His five-year-old season was a bit of a different story. Grown up now both mentally and physically, he was much more powerful. He took a first at Otaki and Ellerslie, before placing at both Doomben and Gold Coast. Volkstok’n’barrell was almost sold to Honk Kong interests in 2015, but as a syndicate owns him they all had to agree, and luckily for New Zealand that did not happen. It was rumoured at the time that the money offered for him was more than any gelding has gone for before, enough to buy a couple of houses in Auckland. 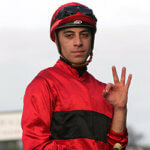 As it is, Volkstok’n’barrell remains at the yard of Donna Logan, who is a part owner. As she says, he may break his leg tomorrow, or go on to win the Cox Plate. One never knows with racehorses. Either way, Volkstok’n’barrell is still racing, and still winning. Being a gelding it is likely that he will continue to race until he either can’t anymore due to injury or he simply doesn’t want to. He will then be rehomed, possibly to the living legends farm depending on his status.